Relax, unwind and experience ultimate comfort with a body massage at Footopia Foot Spa on the border of Coral Springs and Parkland. Our highly-trained massage therapists will get in touch with your muscles and provide relief that will not only make you instantly feel better, but will also create lasting relaxing effects. Massages have been shown as effective treatment for reducing stress, pain and muscle tension, as well as providing much-needed relaxation. Our experienced massage therapists are trained to maximize relief and pleasure, and they look forward to helping you de-stress. 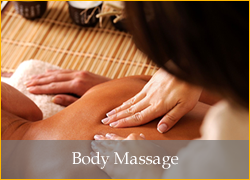 All body massages are offered in our VIP private rooms where you can relax and drift away into complete bliss. We use aromatherapy that utilizes naturally extracted aromatic essences from plants that balance, harmonize and promote the health of your mind, body and spirit. Based on your pressure preference, the massage therapist uses applied pressure and fluid movements that release tension and toxins from the body, which promote relaxation and an overall feeling of well-being. Additional benefits of body massages can include relief for anxiety, digestive disorders, headaches, insomnia related to stress, strains or pains from injuries, and more. So in addition to enjoying a feel-good way to indulge or pamper yourself, massages are a great way to help you manage your health and well-being. Regardless if you have a particular health concern or are just looking for a relaxing way to relieve stress, we are here to provide you with the relief you need. 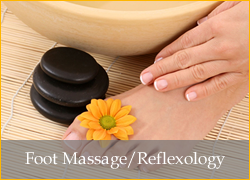 Footopia’s licensed and certified massage therapists look forward to getting in touch with your tired, sore muscles so they can provide relief with either a relaxation massage or a deep tissue massage. 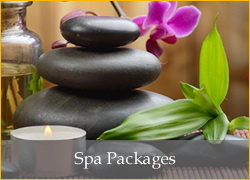 All details of your massage can be catered to your exact needs so you can get the most out of your visit. Footopia offers body massages in their Coral Springs/Parkland location, and are open seven days a week for your convenience. 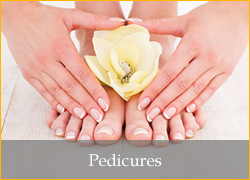 Give us a call or click for an appointment. We’ll take care of the rest. Feel free to drift away (we promise to bring you back). De-stress and unwind with light to medium pressure. 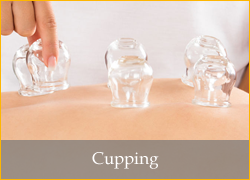 This massage soothes body and mind, inducing tranquil state of relaxation. Greater pressure can provide relief from chronic pain, tension and tightness caused by injury or overworked muscles. This therapeutic massage focuses on specific problem areas and can be beneficial for those with chronic muscle tension and pain. 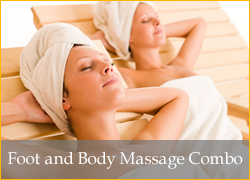 Your massage therapist will adjust the pressure to accommodate your comfort level. Available in 30, 60 and 90 minute sessions.